More than 100 of Rod Blagojevich’s fellow inmates wrote letters to U.S. District Judge James Zagel before the former governor’s re-sentencing earlier this year, the Chicago Sun-Times is reporting. But when Zagel took the bench in August, he said those inmates “don’t know him and they don’t know him in the context of a powerful officeholder in Congress and in Illinois.” Then, Zagel reinstated Blagojevich’s original 14-year prison sentence. 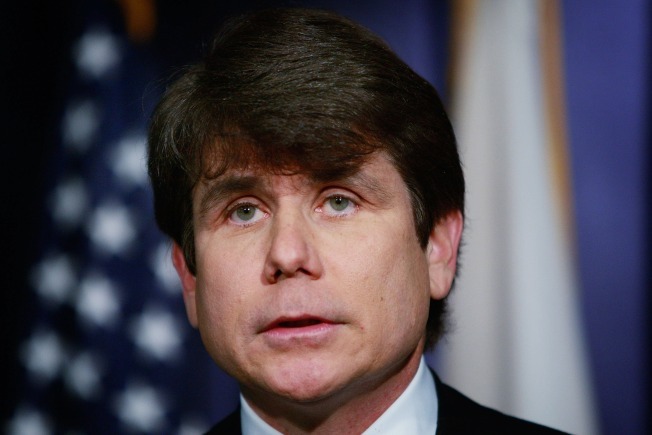 Now, the former governor’s lawyers have complained to an appellate court in a brief filed late Tuesday about Zagel’s quick dismissal of those letters, arguing Blagojevich deserves yet another sentencing hearing. The brief comes four months after the lawyers filed notice of their intention to appeal Blagojevich’s new prison sentence. It is also the latest salvo in Blagojevich’s years-long fight for freedom. Blagojevich is slated to leave prison in May 2024. “The effect of [Zagel’s] ruling was to say to the defendant, ‘no matter how hard you try or what you achieve, I will never alter my opinion of you,’” Leonard Goodman wrote in the 86-page brief. Blagojevich’s legal team faces a particularly steep battle, given that the 7th U.S. Circuit Court of Appeals has already found that “it is not possible to call 168 months unlawfully high for Blagojevich’s crimes.” However, a loss at the appellate level could set Blagojevich up to make another pitch to the U.S. Supreme Court, which refused to hear his case earlier this year. Goodman wrote that the inmates’ letters showed Blagojevich has used his time in prison teaching job and life skills, and helping other inmates repair relationships with estranged family members and maintain a positive attitude. The attorney also noted that Blagojevich’s daughters told the judge how Blagojevich still calls home every night to talk to them, help them with their schoolwork and quiz them before exams. Federal prosecutors maintain that Blagojevich remains convicted of the same three schemes for which he was originally sentenced, despite a 7th Circuit ruling in July 2015 that tossed five of his 18 convictions. Those schemes include Blagojevich’s attempt to sell then-President-elect Barack Obama’s U.S. Senate seat, to shake down the CEO of Children’s Memorial Hospital for $25,000 in campaign contributions and to hold up a bill to benefit the racetrack industry for $100,000 in campaign contributions. A jury also convicted Blagojevich of lying to the FBI.